The FAA will present individual plaques to each National Honoree in July during EAA AirVenture 2017 in Oshkosh,Wisconsin, and their names will be added to the large perpetual plaque located in the lobby of the EAA AirVenture Museum. Also included in the prize packages for each National Honoree is an all-expenses-paid trip to Oshkosh to attend the awards presentation and other special GA Awards activities. Charles Orville Gensler of Parker, Colorado has been named the 2017 National Certificated Flight Instructor of the Year. Chuck’s lifelong interest in aviation began early at the knee of his father—a U.S. Air Force Pilot in three wars—who took him to countless airshows where he watched the Thunderbirds and Blue Angels perform. This led Chuck to enroll in USAF ROTC while at the Citadel earning his B.S. degree in Civil Engineering. Upon graduation in 1974, he entered Air Force flight training, graduating near the top of his class. The USAF Air Training Command selected Chuck as an instructor pilot, and he quickly discovered his true passion as a teacher. He accepted a position as a career trainer in the Air Force, and spent the next 24 years in various roles educating and training military pilots, including Squadron Commander, Air Ops Inspector, and Director of Ops/Training for the Civil Air Patrol. Chuck retired from the USAF in 2000 with the rank of Lieutenant Colonel. After military retirement, Chuck turned his attention to General Aviation, embarking on a quest to bring GA pilot training closer to the level of proficiency offered by the military and airlines. For the next seven years, he served as Chief Flight Instructor of the Aspen Flying Club. Then in 2007, he co-founded Independence Aviation in Denver and served as its Chief Flight Instructor for the next six years. At Independence, he helped grow the business from three CFIs and two airplanes to more than 18 instructors and 13 aircraft. 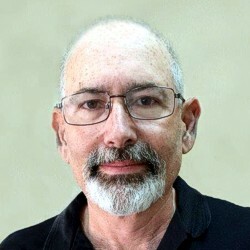 Chuck continues to instruct at Independence Aviation as Chief Flight Instructor Emeritus. Chuck was one of the first CFIs in the Denver area to begin teaching in Technically Advanced Aircraft. In 2004 he became one of the first CIrrus Standardized Instructor Pilots (CSIPs) in the area, and in 2011 qualified as a Platinum CSIP (one of only 81 worldwide). Chuck was also an early adopter of iPads in the GA cockpit, and has conducted numerous safety seminars on the effective use of this technology. He is also a strong proponent of the use of flight simulators and flight training devices to help maintain pilot proficiency, and was instrumental in incorporating the Redbird Xwind training device into the curriculum at Independence Aviation. In 2016, he led a team that developed a novel continuous proficiency training program at Independence called the Complete Proficiency Approach in which GA pilots receive recurrent proficiency training every 60 days throughout the year. Brian John Carpenter of Corning, California has been named the 2017 National Aviation Technician of the Year. Very simply, Brian has become the go-to guy when it comes to the construction and maintenance of—and education about—Light Sport Aircraft. Anytime he’s not teaching a Light Sport Repairman Workshop, you’ll probably find Brian in his hangar at the Corning Municipal Airport working on his Electric Motor Glider or creating an aviation educational YouTube video. Brian has had a passion for aviation since he was a child, building and flying RC aircraft. In junior high, he progressed to building a self-launching glider out of homemade materials and started jumping off a small hill trying to fly. In 1979 he earned his pilot’s certificate while in the Navy. After graduating from Helena Vocational Training Institute (Montana) with his A&P mechanic certification, Brian worked as a lead mechanic for Aero Union, a large aircraft operation and maintenance company (now defunct) based in Chico, California. By 1985, he was the Chief Inspector, and was promoted to the Director of Maintenance by 1990. In 1991 Brian opened his own aviation company, Rainbow Aviation Services, a full service FBO in Corning, CA, providing a variety of aviation services including: inspections, maintenance, flight instruction, test flights, and aircraft certification. The principal focus of Rainbow Aviation Services is Light Sport Aircraft. Rainbow’s Light Sport Repairman Courses have been taught throughout the United States and Australia. The company is a source of LIght Sport expertise for aviation enthusiasts, flight instructors, mechanics and even FAA inspectors. Brian has mentored over 3,000 repairmen since the light sport rule was implemented in 2004, and is the only active provider of FAA-approved training for the Light Sport Repairman rating. Brian has built 36 aircraft so far, and has become an innovative aircraft designer. His current project—the EMG-6, an electric motor glider—is a perfect example. Brian is developing a low cost, electric aircraft to meet the needs of the average person, making the aircraft affordable, and creating complete video instruction for the build. Another example of his innovative approach is that Brian has designed over one hundred 3D-printed parts for use on the EMG-6, and has written at length about optimal methods of 3D printing aircraft components..
Over the years Brian has given back to the aviation in community in myriad ways. 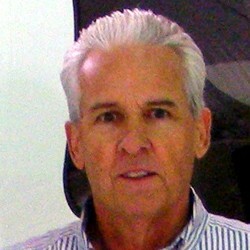 He serves as an EAA Technical Counselor, presents workshops, forums and seminars for various aviation events, authors aviation educational articles and videos (including a monthly column in EAA Sport Aviation magazine), and serves as a volunteer technical expert for EAA’s Homebuilder’s Tips video series, just to name a few. Together with his wife Carol, Brian co-authored two books, one about ultralights and another for sport pilots. Mark Alan Ducorsky of Lakeland, Florida has been named the 2017 National FAA Safety Team Representative of the Year. Mark’s introduction to aviation occurred at an early age when in 1973 he took flying lessons at Camp Solo, a youth summer camp in Bangor, Maine. He was bitten by the aviation bug, soloed on his 16th birthday, and passed his Private Pilot checkride on his 17th birthday. After graduating from high school in Hyde Park, New York, Mark enrolled in Embry-Riddle Aeronautical University in Daytona Beach with the intention of becoming an airline pilot. However, his stint at ERAU convinced him that an airline career was not a good fit for him, and that his true passion was to teach flying. As a young man, Mark earned his CFI certificate and was mentored by longtime Designated Pilot Examiner and Aviation Safety Counselor Paul Drusik. Mark had the opportunity to observe more than 200 checkrides close up by the time he became an FAA Designated Pilot Examiner himself. He worked as a freelance CFI in Dutchess County, New York, and also worked as a flight instructor at several Part 61 and 141 flight schools including Kingston Aviation Group, Richmor Aviation, Hergin Aviation, Action Aviation, Dutchess County Aviation Center. He taught countless people to fly, including one lady who would later become his wife and who is now a CFI herself. In 1983, Mark became involved in a communications consulting firm in Poughkeepsie, New York. Ultimately, he became owner of that business and sold the company in 1991. Mark then became sales manager for and later executive and an owner of a fledgling food manufacturer. Over the next 16 years, the company enjoyed dramatic growth, in significant measure due to the company’s use of business aviation that Mark developed during the course of his tenure there. The firm had its manufacturing plant in Mexico and headquarters in El Paso, Texas, so Mark traveled there and throughout North America on a regular basis. While south of the boarder, Mark provided advanced and recurrent multi-engine training to expatriate American pilots residing in Northern Mexico. In 2007 Mark sold his interest in the food manufacturing company while retaining some income-producing real estate, giving him the luxury of devoting himself full-time to his passion for aviation education and safety. Over the years, Mark has done a lot of his flight instruction on a pro bono basis. Between 1992 and 2002, Mark underwrote a free flight scholarship for an underprivileged young adult from Bronx, New York every other year. His philosophy about flight training was straightforward: He never wanted money to be his motivator as it related to training people to fly. He always felt strongly that this was how he could provide the best, most comprehensive flight training to his students, motivated by his love of and passion for aviation, and he had faith that his monetary needs would come organically, which in fact did happen. Mark holds an Air Transport Pilot certificate (multi-engine) with Commercial privileges for single-engine land and sea and gliders. He is a high-activity FAA Designated Pilot Examiner in the Orlando Flight Standards District (the largest flight training district in the world), performing more than 200 certifications and practical tests per year in airplanes and gliders. Mark was honored as the 2016 CFI of the Year not only for the Orlando District, but for the Southern Region as well. Mark is a Gold Seal and Master CFI with over 7,000 hours of instruction given, a former Part 141 Chief Pilot and a current Part 141 Check Airman. He’s chairman of the Lakeland Aero Club, a Part 141 instructor and check airman in the Polk State College Professional Pilot Program currently provided by Sunrise Aviation (and previously by HOVA Flight Services). He is also Director of Scholarships and Youth Programming for Sun ‘N Fun Fly-In, Inc. administering the James C. Ray Scholarship Program.These scholarship activities focus on helping high school students pursue an aviation career and receive a quality college education. 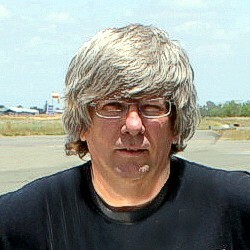 He is also the Chief Instructor for Sun ‘N Fun, and formerly served as Chief Instructor for Breezer Aircraft U.S.A. (light sport aircraft). Please consider sponsoring or donating gifts to the General Aviation Awards program. Sponsorship funds pay for the out-of-pocket expenses of the program (e.g., award honorees’ travel and lodging, catering, etc). Gifts in the form of merchandise or checks are given to the individual national award recipients at EAA AirVenture in Oshkosh. To learn more about how you can become a sponsor of or gift donor to GAA, please click here. Nominations and applications for 2018 General Aviation Awards will be accepted starting July 1, 2017. If you are acquainted with a Flight Instructor, Aviation Maintenance/Avionics Technician or FAASTeam Representative whom you think might be deserving of an award at the local, regional or national level, we encourage you to nominate him or her. If you are an aviation professional with a distinguished career in one of these categories, we encourage you to apply. For more information about nominating or applying, please click here.